In connection with the first semiannual dialogue between The Lutheran Church—Missouri Synod (LCMS) and the Anglican Church in North America (ACNA), an open forum is scheduled for 7:30 p.m. on Wednesday, November 10, in Werner Auditorium, at Concordia Seminary, St. Louis. The forum will feature two presentations on “Lutheran and Anglican Connections” by Dr. Jonathan Riches (ACNA) and Dr. Paul Robinson (LCMS). 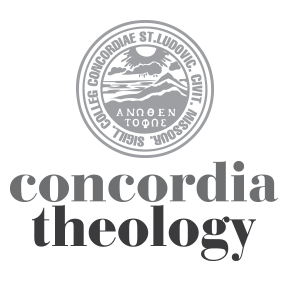 Dr. Paul Robinson chairs the historical theology department at Concordia Seminary, St. Louis. His most recent book is Martin Luther: A Life Reformed. Dr. Jonathan Riches is assistant academic dean and associate professor of liturgics and theology at the Reformed Episcopal Seminary. The free, open-to-the-public forum is coordinated by the Office of the LCMS President and the LCMS Commission on Theology and Church Relations (CTCR). besichtigt und meint, dass es sich um einen raren besagten Meteoriten handelt. Und dabei einige ganz schoene Achondriten mit seinem Achondritensuchgeraet aufgelesen.